It’s only a few days until fall officially ends. And while we’re excited about winter, Christmas, and snow, there’s still a lot to love about this time of year. Chilly porch evenings, orange skies, the smell of cinnamon, and cups of hot cocoa all work together to make this the perfect season for “falling” in love. And with that in mind, here are some truly romantic date ideas to ensure that falling in love this season is a true possibility. Autumn and cider go hand in hand. Wine isn’t so bad either. The best thing about a date like this is you’ll be experiencing something new together. 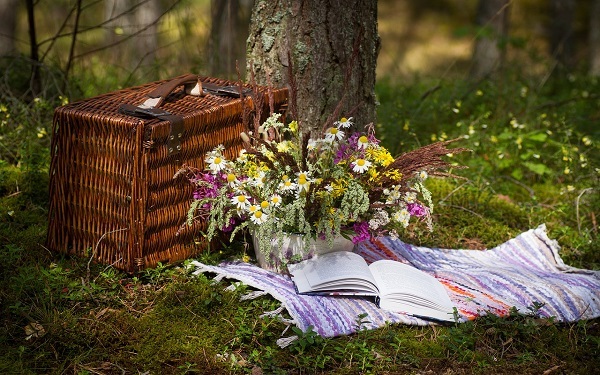 A picnic may seem so old-fashioned to the younger generation but it is a tried-and-true way into a person’s heart. Some delicious sandwiches, maybe some warm cider or wine, and a pumpkin pie for dessert. Coupled with the gorgeous views of fall, who wouldn’t fall in love? Fall is apple picking season. And this would be the perfect time to enjoy a bit of time outdoors before winter blows in. You’d be surprised how romantic picking out the juiciest apples is until you’re there with someone you love. Since you’ve already got the apples, why not feed your sweet tooth and make homemade candy apples? Sweet and oh-so-gooey… just think of all the things you can do with caramel after you’re done feeding each other. Got some apples left? You can bake an apple pie together. How about pumpkin pie? It’s the most delicious fall dessert ever. Who wouldn’t enjoy the intimacy of working together in such close quarters? Your oven will not be the only thing heating up in your kitchen. Halloween may not seem like a romantic time. But it’s also the time of year when masquerade balls are held. Instead of dressing up as something scary, why not try a romantic mask? The mysterious allure of a masquerade would definitely get your senses tingling. There’s nothing better than inhaling the fresh fall air and smelling all those delicious treats in a farmer’s market. You can relax and walk around, enjoy a little taste of the food and each other… what more could you ask for? If you and your partner love the great outdoors, why not take a weekend off to camp and enjoy the beauty of nature in the fall? 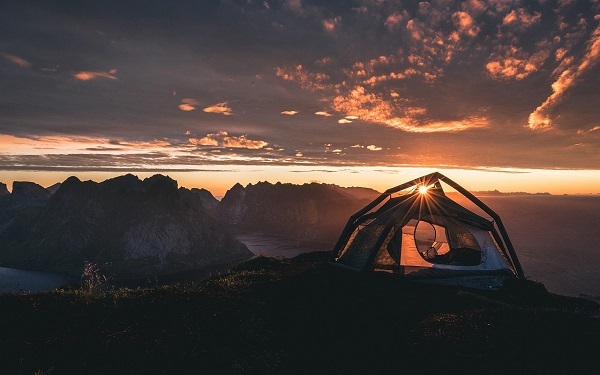 While you’re there, you can go stargazing at night, cuddled up in one blanket. Or, you can enjoy some s’mores and each other over a warm campfire. Yes, it may seem silly. But sometimes, there’s nothing more fun than reverting back to the silliness of childhood. Running around in a corn maze gets even better when you can sneak in kisses because no one’s looking. What’s more romantic than going high up in the sky, just the two of you (plus the guy who knows what he’s doing) and feeling like you’re on top of the world? And we really mean that literally. Sometimes, it’s just that simple. No need for elaborate plans. Just a warm fire, cuddling together on the couch, some popcorn and wine, plus a movie. It’s time to bust out your creativity. And maybe a bit of your competitiveness? Carving pumpkins together can be a fun fall date. As an added bonus, you can use your pumpkins to make your house more festive.